The most breathtaking and exhilarating ride you can't imagine. It's The Matrix meets Inner Space in a futuristic battle for survival. The first in an incredible new action thriller series from Michael Grant, author of GONE. These are no ordinary soldiers. This is no ordinary war. Welcome to the nano, where the only battle is for sanity. Losing is not an option when a world of madness is at stake. Time is running out for the good guys. But what happens when you don't know who the good guys really are? 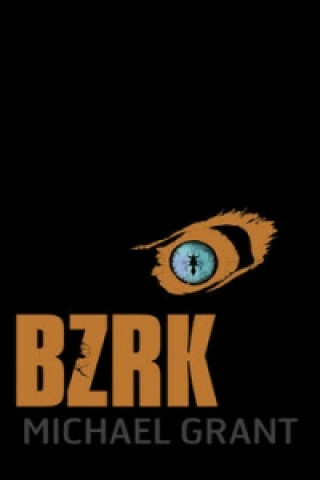 It's BZRK. Noah and Sadie: newly initiated to an underground cell so covert that they don't even know each other's names. Here they will learn what it means to fight on a nano level. Soon they will become the deadliest warriors the world has ever seen. Vincent: feels nothing, cares for no one; fighting his own personal battle with Bug Man, the greatest nano warrior alive. The Armstrong Twins: wealthy, privileged, fanatical. Are they the saviours of mankind or authors of the darkest conspiracy the world has ever seen? The nano is uncharted territory. A terrifying world of discovery. And everything is to play for ...The coolest author of books for teens writing today is back with yet another mind-blowing Young Adult series. Warning: BZRK contains some scenes of violence. Praise for Gone: '...exciting, high-tension story told in a driving, torrential narrative that never lets up. This is great fiction. I love these books.' Stephen King, bestselling author.